1. How do I contact Faces of Loss, Faces of Hope? 2. What is Faces of Loss, Faces of Hope? Faces of Loss, Faces of Hope was started in July of 2010, as a place for survivors of miscarriage, stillbirth, and infant loss to come together, share their stories and their faces, connect with others who have been through similar experiences, feel "normal," and know they are not alone. At faces you'll find hundreds of real stories of pregnancy/infant loss, categorized and searchable by subject and keyword, a blog directory, helpful resources, including an area specifically for friends and family, ways to get involved in making a difference, and more. 3. Who runs Faces of Loss, Faces of Hope? Faces of Loss, Faces of Hope is a collaborative effort, run by a team of “babyloss” moms, as well as friends and supporters of those who have lost a child. Kristin Cook and Andrea Morton are the Co-Directors of Faces; you can meet our other team members here. 4. How can I donate to Faces of Loss? To make an easy online donation to Faces of Loss, please click here. 5. Where will my donation go? 6. I am a friend or family member of someone who recently lost a baby; can you tell me how I can help them? Absolutely! A good place to start is by reading this article. There is more information and a list of resources for family and friends here. 7. I want to be more involved with Faces of Loss; what can I do to help? Faces of Loss is a grassroots effort, and we rely on our supporters to help spread the word of this resource. You can sign up to distribute Faces postcards to your local hospital or clinic [click here for request form], send in a story submission to your local news station or newspaper [click here to download story submission template], or simply share the link to our site on your blog, facebook page, or other social media site. We are also accepting applications for Face2Face Friendship Group Leaders. More information about this opportunity can be found here. 8.) I am interested in featuring/interviewing Faces of Loss for my blog/book/show. Who do I contact? 9.) Where can I order Faces of Loss postcards? 10.) How do I submit my story for inclusion on this site? Click here for instructions on submitting your story. 11.) How do I stay informed on what's happening with Faces? Click here to subscribe to our official member’s mailing list. We’ll keep you in the loop, and also send you our e-newsletter every month. 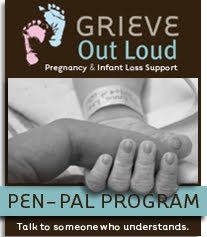 You can sign up as a babyloss parent, a family/friend/supporter, or professional. 12.) Is Faces of Loss, Faces of Hope a non-profit? Faces of Loss, Faces of Hope, inc is an official nonprofit corporation recognized by the state of Minnesota. We are currently in the process of filing for 501c3 tax-exempt status. 13.) How do I find stories like my own? How do I find stories written by parents in my home state? You can use the 'Browse by Subject' pull-down menu on the right-hand side of the site to find stories with similar keywords, locations, and dates as your own. 1.) I'm feeling like I can't go on. Is that normal? A grief counselor or therapist may be able to help you work through your intense feelings. You can also feel free to contact any of the women featured on this site; they are hear to listen and have experienced the feelings you are experiencing right now. 2.) Where can I find a local in-person support group? We are in the process of setting up local Face2Face Friendship Groups, which you can out more about here. In the meantime, Share has a wonderful listing of local support groups; so does The Compassionate Friends. 3.) Is there something I can send my friends/family, to help them understand how I'm feeling? 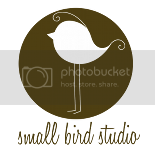 You may also want to send them to our blog directory; many feature posts that wonderfully articulate the feelings we all experience when losing a child. 4.) Are there places my partner can go for support? There are a couple good places you may want to send your husband or significant other that are written from the male perspective, including Elm City Dad and Grieving Dads Project. Stillbirth occurs when a baby is born not alive, after the 6th month of pregnancy. You can read more about stillbirth here. Miscarriage occurs when a baby dies before the 20th week of pregnancy. You can read more about miscarriage here. 7.) What is infant loss? Infant loss occurs when a baby dies after birth. You can read more about infant loss here. The information contained in this website is for general information purposes only. The information is provided by Faces of Loss and while we endeavor to keep the information up to date and correct, we make no representations or warranties of any kind, express or implied, about the completeness, accuracy, reliability, suitability or availability with respect to the website or the information, products, services, or related graphics contained on the website for any purpose. Any reliance you place on such information is therefore strictly at your own risk. Through this website you are able to link to other websites which are not under the control of Faces of Loss. We have no control over the nature, content and availability of those sites. The inclusion of any links does not necessarily imply a recommendation or endorse the views expressed within them. Every effort is made to keep the website up and running smoothly. However, Faces of Loss takes no responsibility for, and will not be liable for, the website being temporarily unavailable due to technical issues beyond our control.